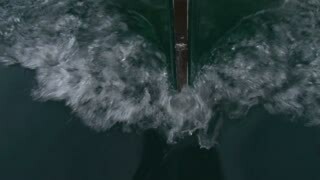 Search Results for "bow of the ship"
A slow motion top down view of the wake caused by the bow of a ship. Shot at 60fps. WEST INDIES, 1930s: waves on the bow of a ship. View of a ship from under a palm tree on a beach. Ship in port. Palm trees growing on a beach. 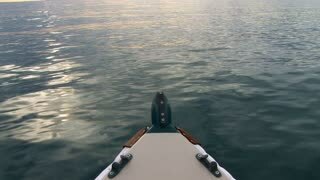 View of a calm sea from the bow of a boat. View from the bow of moving ship at sea. ESTONIA 1930s: Sailors Look Out from Deck of Ship as Blimp Flies Overhead. Waves Crashing Over the Bow of a Ship. 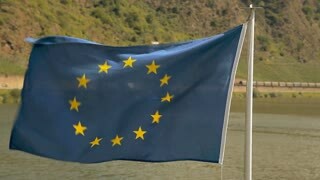 A flag on the bow of the ship. Guyce is the flag of a Russian naval ship. Andreevsky naval flag. A time lapse view of passengers on the bow of a ship as it pulls into the dock in Montevideo. An early morning, timelapse recording looking over the bow of a ship as it travels through sea mist in a Norwegian fjord. 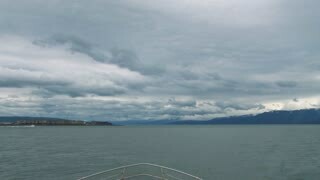 A timelapse recording looking over the bow of a ship as it approaches the city of Honningsvag, Norway. POV looking out across the ocean from the bow of a ship. 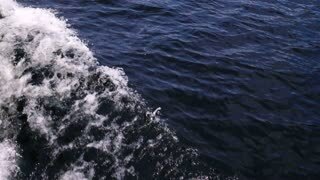 The bow of a ship on a wave. 1960s: Flowering bush in park setting. Flowering bush next to building. Large, read flower blossoms. Pink flower blossoms. 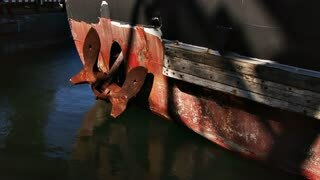 Bow of docked ship. Time lapse video of the bow of the ship sailing up the river. Full HD stock footage shot at summer season time. Video of the bow of the ship sailing up the river at sunset. Bow of Icebreaker Ship breaks the ice. Top view. Ice floats and and icebergs on the ocean surface in the Antarctic. Amazing beautiful views of Nature and landscape of snow, ice and white of Antarctic. Around the Bay, slowly sailing a small ship, a man standing on the bow of the ship. Bow of great ship on ocean. Tourists on the bow of a ship entering Johns Hopkins Inlet in Glacier Bay National Park, Alaska. A person on the bow of a ship entering Johns Hopkins Inlet in Glacier Bay National Park, Alaska. 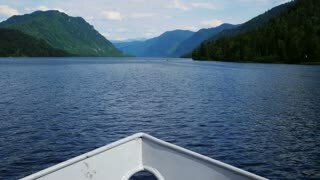 Point of view Time lapse from the bow of a ship approaching Dawes Glacier in Endicott Arm in Tracy Arm - Fords Terror Wilderness, Alaska. The yacht is moored in the port of Odessa. The bow of the ship and sun beams sunbeams on the water in frame. Action at sunset.